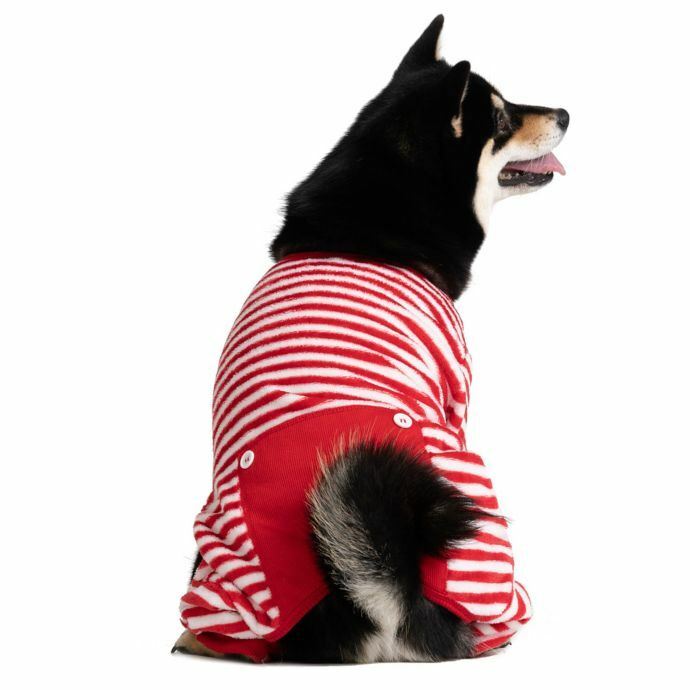 These Red and White Striped Dog Pajamas will keep your pup warm and cozy when the weather turns cold. 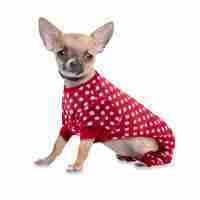 Featuring stretch cuffs and an on-trend red and white stripe pattern, these pajamas are easy to put on and remove. 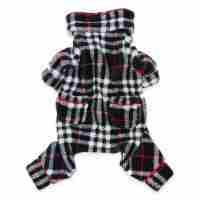 Features stretch cuffs and coordinating flap on the back with button accents. 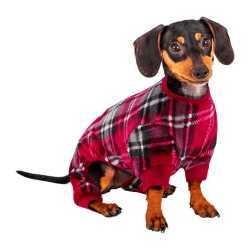 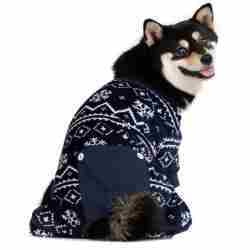 Small accommodates dogs up to 8 lb.